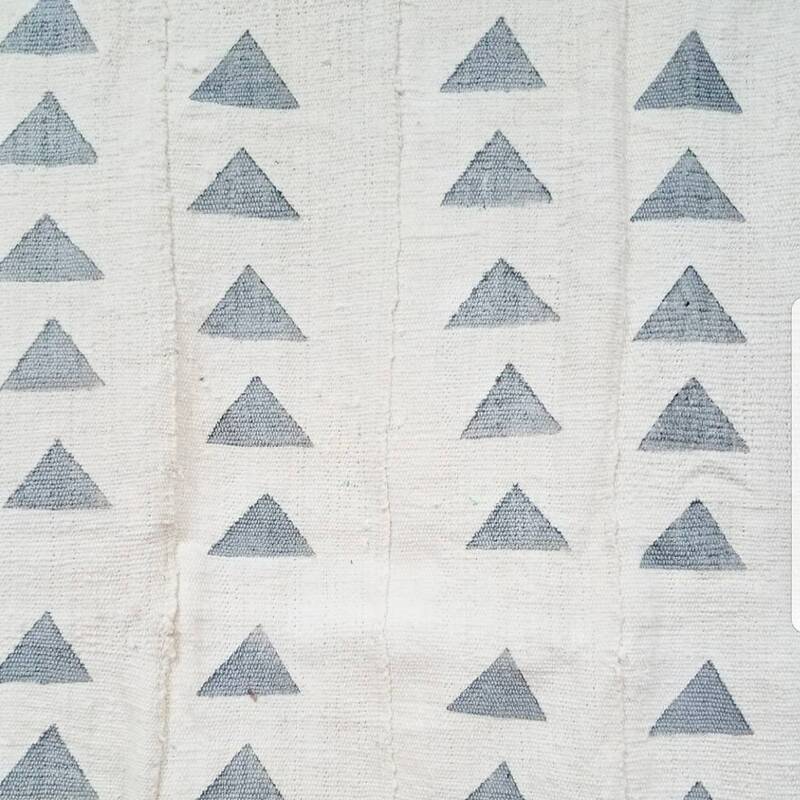 Grey triangle on cream background African mudcloth. Machine wash in cold gentle cycle. 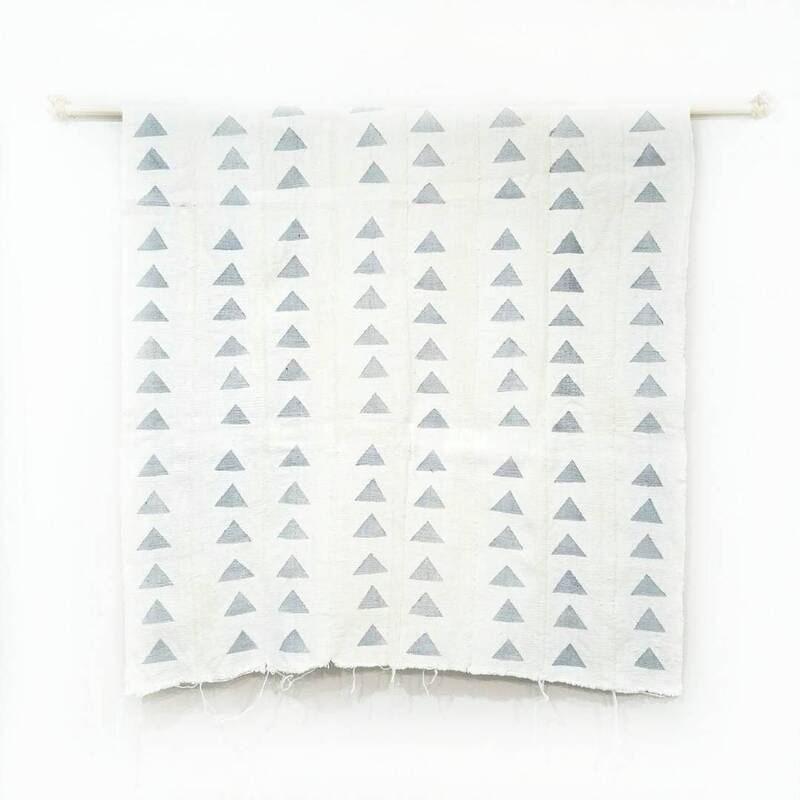 *Slight variation in shade, size, print and small imperfections might be present as all mudcloths are handmade and hand printed. Thanks for the fast shipping on this one, got it just in time. Amazing product- super friendly service and fast delivery!